Lipscomb University appears in our ranking of the 5 Best Online Schools for a Bachelor’s Degree in Entertainment Management. Starting in Fall 2019, the George Shinn College of Entertainment & the Arts will confer a Bachelor of Arts or Science in Hospitality and Entertainment Management for Lipscomb University undergrads seeking creative, dynamic careers in Nashville’s $6 billion tourism industry. Chaired by Dr. Mike Fernandez, a Kennedy Center Excellence in Direction Award recipient, the 126-credit, Christ-centered program unleashes students’ leadership potential for guest relations. Expect face-to-face daytime courses like Event Planning, Entrepreneurship, Principles of Data Science, Finance, and Marketing at a 14:1 student-professor ratio. For 90 percent job placement success, the curriculum includes four hands-on practicum rotations at its Bison Inn, Bennett Campus Center, Allen Arena, and Sound Emporium. On Blackboard, the School of Online Studies offers a FlexPACE option for adult Lipscomb University undergrads to complete a Bachelor of Professional Studies (B.P.S.) in Entertainment Management that emphasizes the operational needs of music and arts venues. Advised by Dr. Randy Gill, the 126-credit, transfer-friendly degree trains God’s servant leaders for meaningfully contributing to show business organizations. Online students fill accelerated, eight-week terms with 3000-level classes from Applied Relationship Building and Applied Communications to Nonprofit Arts Management. Other opportunities include interning at the Grand Ole Opry, minoring in Event Planning, continuing the Fast-Track MBA, adding the London Semester, joining Alpha Zeta Epsilon, and coordinating the Tau Phi Cowboy Show. 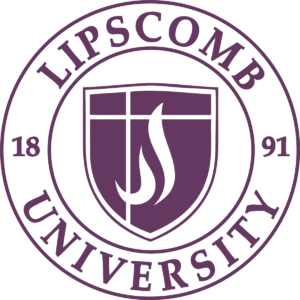 Lipscomb University originated on October 5, 1891, when two friends named David Lipscomb and James Harding started the Nashville Bible School to train preachers in Scripture. In 1896, it added Lipscomb Academy for intermediate college-prep study. In 1903, the Lipscomb Family donated a 110-acre Green Hills farm five miles from Downtown Nashville for its campus. In 1918, it officially became David Lipscomb College after the co-founder’s death. By the grace of God, Lipscomb survived fires and the Great Depression to reach its Golden Year in 1941. In 1988, President Harold Hazelip succeeded in state authorization for the first master’s. Two decades later, Lipscomb University was born with Middle Tennessee’s first College of Pharmacy. In 2019, Lipscomb will host the 50th Annual GMA Dove Awards show. Endowed for $79.1 million, Lipscomb University now educates 4,642 Bison from 50 nations and 35 faith denominations either online or on-site with 100+ clubs like the Society of Composers. In 2005, Lipscomb received the Tennessee Center for Performance Excellence Commitment Award. In 2017, Lipscomb won the NABC Team Academic Excellence Award. The U.S. News & World Report ranked Lipscomb the 194th best national college, 174th best online school, and 195th top graduate education school. On Niche, Lipscomb University boasts America’s 195th best small classes, 239th top location, and 274th best business programs. Forbes placed Lipscomb 358th overall with the 158th most research impact. The George Shinn College of Entertainment & the Arts was also named #2 by Christian Universities Online. On December 12, 2017, the Southern Association of Colleges and Schools Commission on Colleges (SACSCOC) officially notified Lipscomb University that it passed all 85 standards to continue Level VI accreditation through 2027-28 under its 17th president, Dr. Randy Lowry, who earned the Otis Floyd Jr. Award for Excellence in Administration. Located 253 miles down Interstate 75 in Decatur, Georgia, this esteemed 11-state Southeast Region accreditor is recognized by the Council on Higher Education Accreditation (CHEA) to assess Lipscomb’s 72 baccalaureate, 32 master’s, and three doctoral degrees. Particularly, the George Shinn College of Entertainment & the Arts has been accredited by the National Association of Schools of Music (NASM) since September 1, 1993. Management courses were approved by the Accreditation Council for Business Schools and Programs (ACBSP) in January 2012. Entering Lipscomb University is classified “moderately difficult” by Peterson’s because 2,164 of the 3,581 Fall 2017 applicants were selected for competitive 60 percent acceptance. First-year Bison stampeding the B.A./B.S. in Hospitality and Entertainment Management must have followed a college-prep high school curriculum. Freshmen age 18+ with GED scores over 580 would qualify. Secondary GPAs of 2.5 and higher are strongly preferred. Unconditional admission requires a 21 ACT score or equivalent. Developmental seminars are mandated for ACT English marks below 20 or SAT Reading marks under 480. Transfers with 60+ credits graded “C” or better are test exempt. Online B.P.S. in Entertainment Management majors typically transfer at least 30 credits with minimum 2.0 GPAs overall. The Tennessee Transfer Pathway simplifies A.A./A.S. entrance from schools like Nashville State. Lipscomb University has a Regular Decision admission process that’s rolling for U.S. residents. International students meeting the 4.5 IELTS, 45 TOEFL, or 41 Pearson Versant minimum must apply three months before term starts. Note the Honors College has a soft July 31st deadline too. Accordingly, complete the Lipscomb or Common Application online with $50 by credit/debit card. Request official transcripts by fax or mail to One University Park Drive in Nashville, TN 37204. For testing, utilize SAT/TOEFL code 1161 or ACT code 3956. Supplemental steps might include the academic evaluation form, qualified reference, admission interview, 500-word essay response, health insurance documentation, and immigration visa. Please contact (615) 966-6123 ext. 6123 or admissions@lipscomb.edu with more questions. For 2019-20, Lipscomb University is billing full-time B.A./B.S. 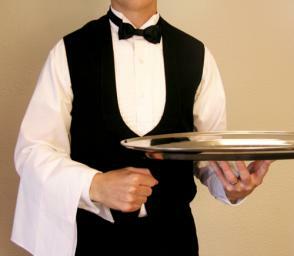 in Hospitality and Entertainment Management majors $16,712 per term or $33,424 annually. Guaranteed four-year tuition rates are higher at $17,701 and $35,402 respectively. Mandatory undergrad fees are $2,564 each year. One-time enrollment fees are $260 for freshmen and $215 for transfers. Living at the Nashville campus’ dorms like Fanning or Sewell Hall adds $12,872 yearly. Lipscomb budgets $1,500 for texts and $3,250 for miscellaneous expenses. Traditional annual bachelor’s study equals $49,546 on-site and $36,894 at home. Online B.P.S. in Entertainment Management students are charged $525 per credit. Transfers with 60 credits would spend just $34,716 total. Subscription-based FlexPACE enrollment of $6,000 per six-month term is also available. According to the NCES College Navigator, the Financial Services Office in Crisman Administration Building gets 81 percent of Lipscomb Bison herding median aid of $18,924 each for $45.83 million combined. University funds include the Freshman Merit Scholarship, Vision Award, Athletic Scholarship, International Student Scholarship, Head of School/NCSA Grant, Church of Christ Matching Scholarship, Pionero Scholarship, Music Audition Scholarship, Kappa Iota Theta Scholarship, Lipscomb Academy Valedictorian Scholarship, and Transfer Academic Scholarship. Online B.P.S. in Entertainment Management students with minimum 3.25 GPAs receive $1,200 FlexPACE Scholarships. The Trustee Scholarship covers full tuition of $33,424 for freshmen with 1390 SAT, 30 ACT, and higher scores. Completing FAFSA forms coded 003486 judges Federal Pell Grant, SEOG Grant, Work-Study Program, and Direct Loan eligibility. Tennessee residents apply for the $2,250 HOPE Scholarship until September 1st or February 1st. The Tennessee Hospitality & Tourism Education Foundation also confers the $5,000 A. Marshall Scholarship and $3,000 Gibson Hotel Scholarship. Continue reading about Lipscomb University at the George Shinn College of Entertainment & the Arts website.